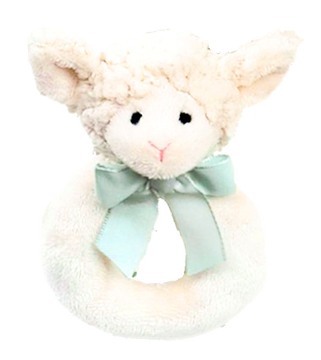 The Bearington Baby® Ring Rattles are made of a soft plush. They have a ribbon at the neck. They make a soft, soothing "rattle" when shaken. They are machine washable and dryable. 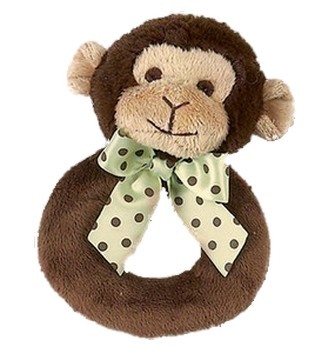 Most of the rattles have matching Snugglers, Wees, Belly Blankets and/or Pacifier Pets.